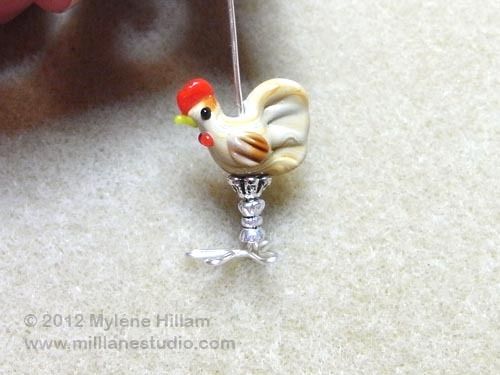 Here's a pair of whimsical, barnyard inspired earrings that are fun and easy to make using a simple wire technique to create the feet. 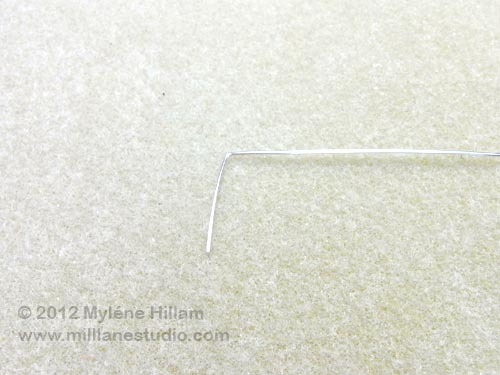 Cut a length of wire 12.5cm (5") long and bend it at a 90° angle, about 2.5cm (1") from the end. 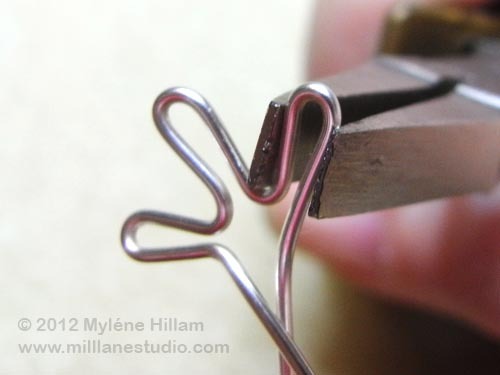 Hold the flat nose pliers in the corner of the angle just created (on the long end) and bend the wire back around the outside of the jaw. This will create the first claw. 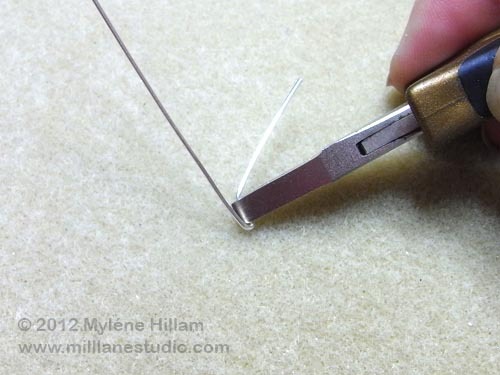 Repeat the last step to create 3 claws altogether. 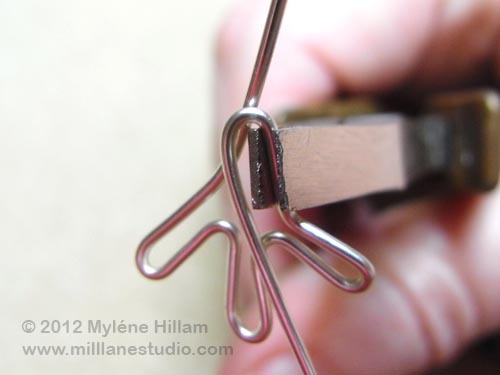 Shape the claws by gently squeezing each one together at the base with the pliers. 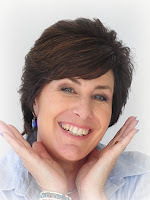 You want to make sure that the two outside claws are pointing slightly forward rather than out to the side. 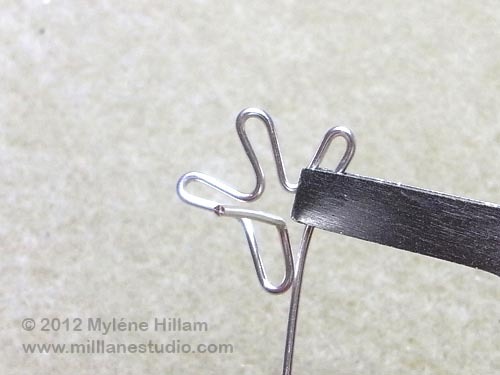 Create the fourth claw with the shorter end of the wire. This one points out the back. 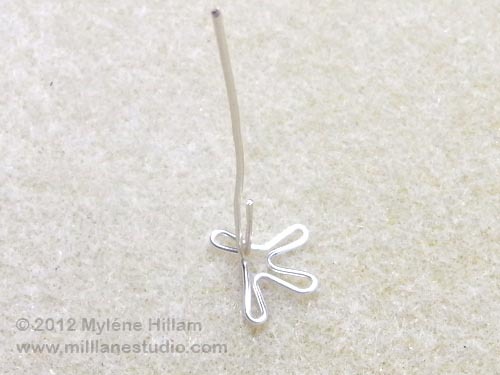 After you've created the four claws, you're going to bend the two wires upwards. Start with the fourth claw. 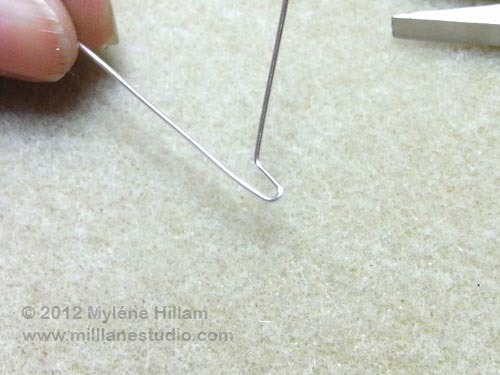 Hold the wire at the end of where you want the claw to finish and bend the wire upwards to create a leg. 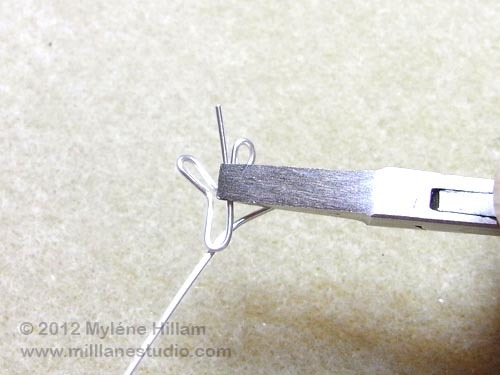 Do the same thing with the longer wire, trying to bend it as close to the fourth claw as you can. 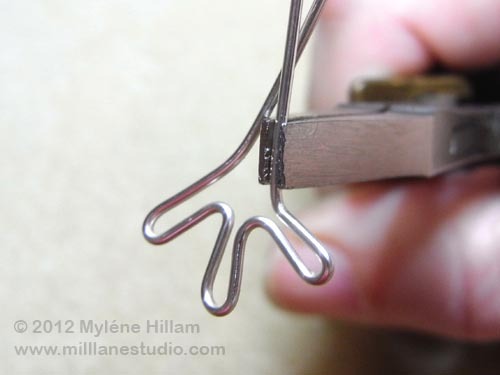 Now you have four claws and two upright wires which form the legs. Make a seond leg to match. 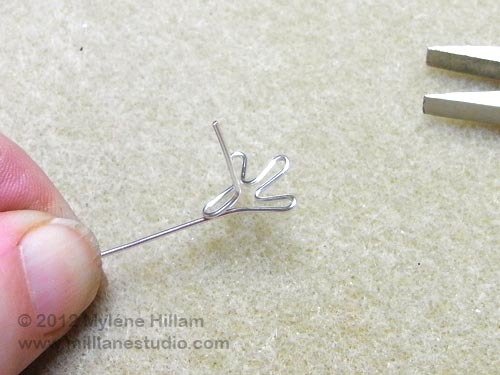 Once you've made two legs, you're ready to get started on the earrings. 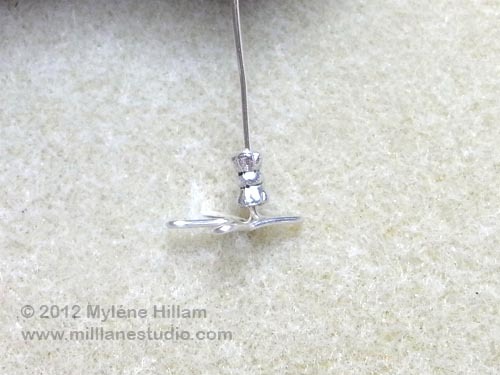 Thread the spacer bead over the two "prongs" of the leg. 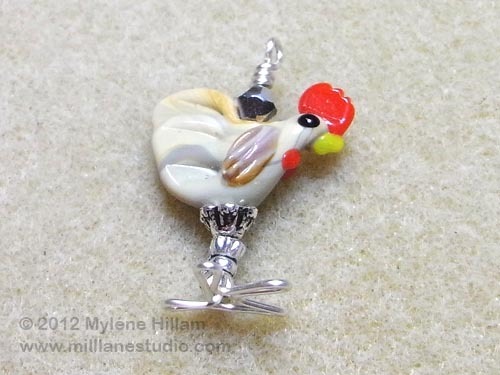 Add an upturned beadcap, the chicken bead and a silver bicone. 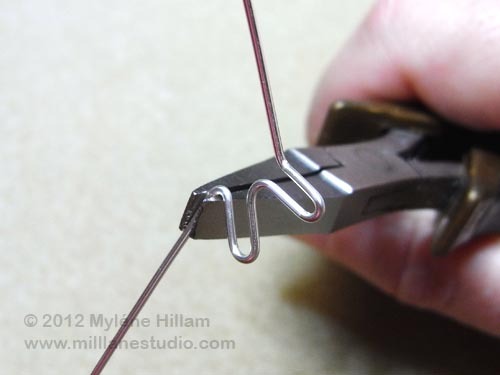 Leave a small "neck" of wire above the bicone and create a loop. 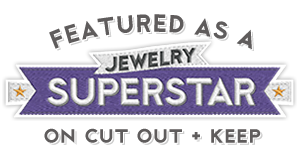 Wrap the wire around the "neck" with the chain nose pliers and then trim off the excess wire. 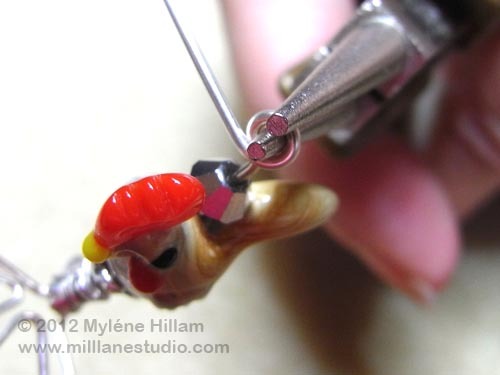 Make a matching chicken component and then hook them onto the earring wires. So what do your think? 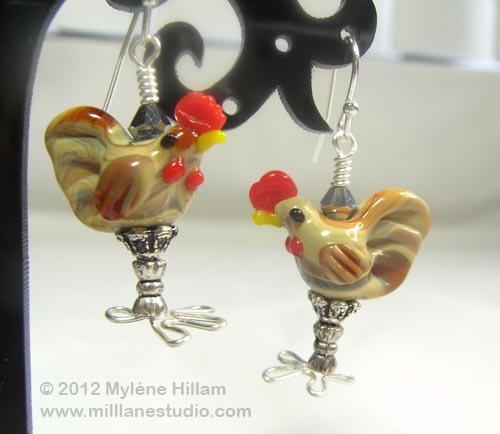 Are they hens or roosters? I'll leave that for you to decide. 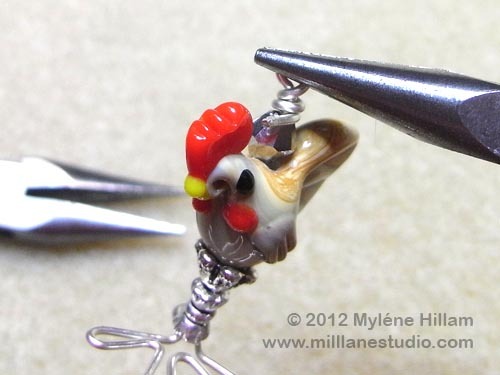 This is the cutest chicken idea I've seen yet. 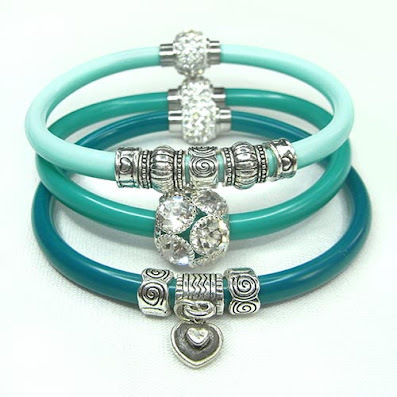 I'm going to make something like them for my grandma. She'll love showing them off. Thanks. Thanks Krystina. I hope your grandma loves them!